Well, it’s that time of year again, chaps. Had good results last year, and with oodles of saved seed to play with this year, I shall be growing a veritable forest of chillies. If anyone is interested in a handful of Red Basque seeds, let me know and I’ll put them in the post. I’ve just taken delivery of some “Palivec” seeds, courtesy of The Real Seed Catalogue http://www.realseeds.co.uk/hotpeppers.html very much looking forward to those. If the year is as warm and dry as last year, it could be a bumper harvest. I’ve just dug the propagator our of the shed, and have mixed up some compost. Can’t wait to get started! Anyone else limbering up for the season? I’m in. Will send you a pm. I did keep a stash of seeds but they’ve been ‘tidied’ so who knows where they are. I’ll probably do some Apache F1 hybrids again just for the volume. Thanks chaps, your seeds are in the post today. I'm down for this - I've had 2 years of dreadful crops and want to give it a decent go this year. Seeded everything last weekend and have just stuck to the same as last year as a cracking crop all round. Didnt keep seeds as still got plenty bought ones left. Heres hoping for a decent summer again. I agree. 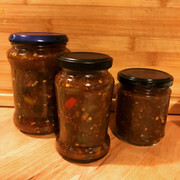 I purchased some from a B&B we use up in north Lincs and the lady there produces the most fantastic range of jams and pickles. This year I am going to try and grow my own chillies and make some of my own jam. It goes great with game, particularly roast haunch of venison. Anyone grow scotch bonnet ? I've grown Apache and Prairie fire in the past. Looking for suggestions for this year for a bit of warmth but plenty of flavour. 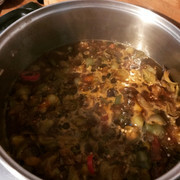 The old dear had Scotch Bonnets last year but was a bit of a disaster with only 5 fruits and they were a tad hot to enjoy although in the right recipe would probably be fine. Ive done Apache and Prairie Fire fire for a few years and hard to beat imo. Also had Cherry Bomb and Bolivian Rainbow last year which both gave outstanding crops and are tasty.The Bombs you can pick and eat without too much fire and have a superb flavour. Thanks I'll have a look for some. Do I remember rightly that @Fatcatsplat grew scotch bonnets, or, at least, made some of his own chilli sauce? 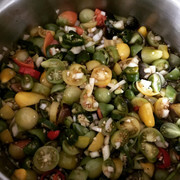 two basket of fire lasted me a whole year even with making jams and sauce so will be doing them again this year . 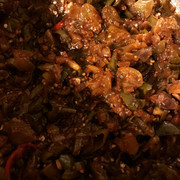 Last year’s tomato and chilli chutney was a roaring success. got my seeds this morning thanks. will send you a few seeds to try.. all the best des.. 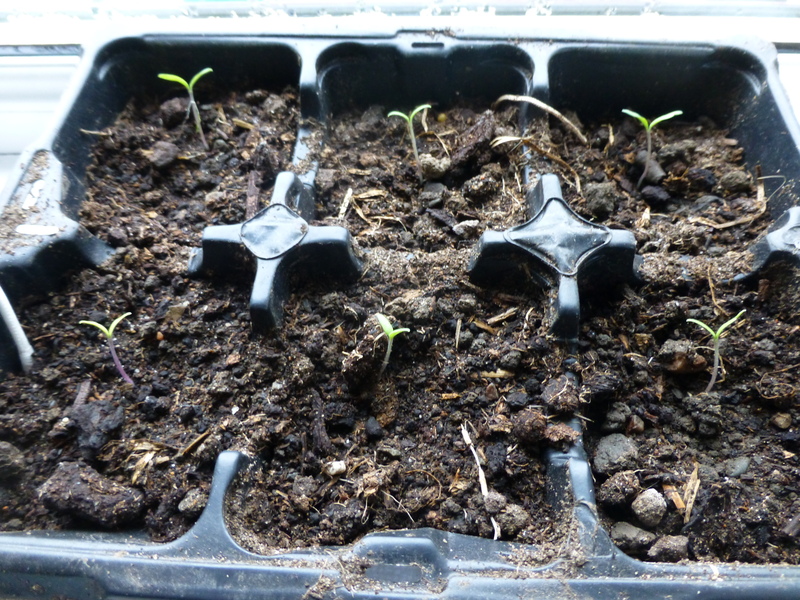 I fired up the propagator this morning, and all seems to be working. Will sow the first batch tomorrow. In the post box this afternoon, PhilR. Many thanks LS, seeds arrived safely this morning. Mrs PhilR is dusting down her propagator kit ready for planting. Most of the 30 odd toms are through and fair stretching.Window cills from now on to make the most of any sun and hopefully stop them getting too leggy. I’ve grown chilli basket of fires the last two seasons. Prolific crops is an understatement! All toms except for 2 have germinated out of 36 so not too bad. No chillis through at all yet but i always find them slow with me so hopefully will in a few more days.Have popped in the prop so see if that makes a difference.